Plenty of teachers are looking for ways to bring their classrooms into the online arena, or vice versa, and My Big Campus is one handy app that could provide a secure venue for such interaction (and it’s free). It may not have the same functionality as Facebook, but then, you have different goals. For example, you don’t necessarily want students engaging in unfettered discourse that has nothing to do with classroom topics (your app shouldn’t provide the 4-1-1 on campus parties). And playing games like FarmVille isn’t likely to help your students understand the socio-economic ramifications of the agrarian revolution despite the fact that players are managing a virtual farm. In short, you’re likely looking for a tool that will supplement and support the lessons taught in the classroom setting. So here are a few features that are sure to recommend this app. The first thing that most teachers will no doubt find useful is the calendar feature, which allows for posting assignments, tests, due dates, and so on. It’s basically an electronic syllabus that can be viewed by any student via computer or mobile device (iPhone, iPad, etc.). In addition, there are supplemental features for assignments (both classroom activities and homework) that allow you to add information so that students can view it and even upload their work once it is completed. From there you can post grades and even push notifications to students that may be waiting to see what marks they’ve earned on assignments. But there’s a lot more to this app than posting, receiving, and grading homework. 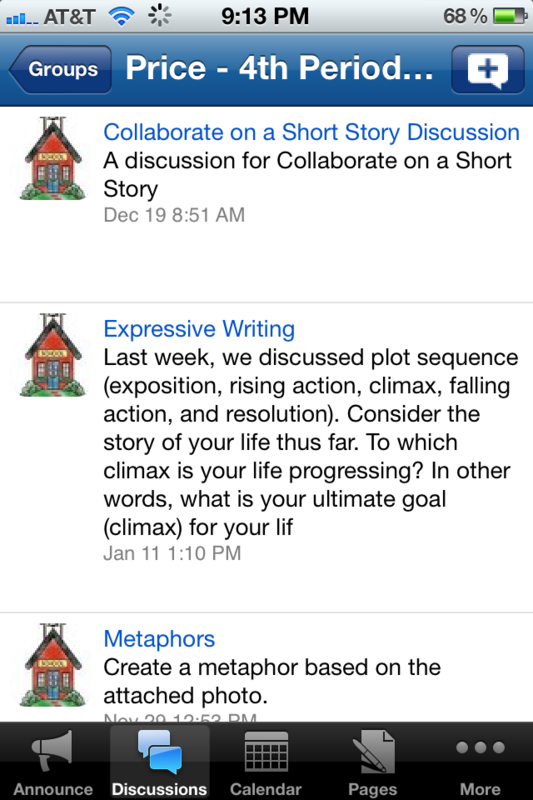 In addition to posting assignments and reminders you can also add educational resources. Instead of printing a zillion copies of information to hand out in class or directing students to watch videos online you can simply populate your own resource library with literary references (articles, excerpts, etc. ), links to interesting blog posts, and even YouTube videos (you can link out to content that you find useful or simply store stripped-down versions via cloud network for easy access without all the peripheral junk). 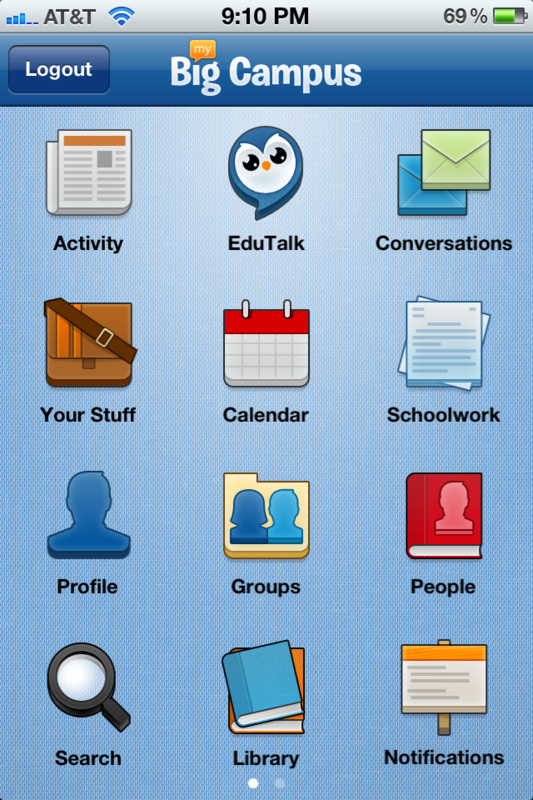 Of course, there may be an aspect of this app that’s even more appealing to teachers hoping to engage their students. Group discussions outside the classroom setting have been a tempting possibility since the growth of online communities, but the security issues involved in setting up groups on social networking sites like Facebook have stopped many teachers from using such communication resources. With this app you can start and monitor conversations among students so that they can discuss topics that you may not have had time to fully explore during class time. You can also set passwords to authenticate users attempting to access the group. And in a move that shows some forethought, there are also profanity filters provided (so you shouldn’t receive any complaints from parents about kids posting inappropriate language). And finally, you’ll have access to EduTalk, a communication tool that allows you to link up with other educators in order to share information and resources. You don’t need to get an MBA online to see that this is a fantastic app for educators at all levels (from elementary up to college). And with a majority of students having home computers at the least (and many using mobile devices) there’s no reason not to use this freebie to your advantage in the classroom. Entries (RSS) | Comments (RSS) | 88 queries in 0.827 seconds.